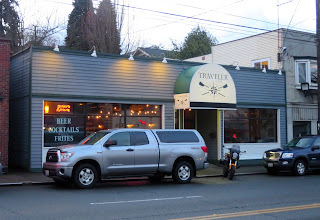 Update: Traveler Montlake was refashioned into Pub Montlake in 2016 and then closed altogether in 2017. 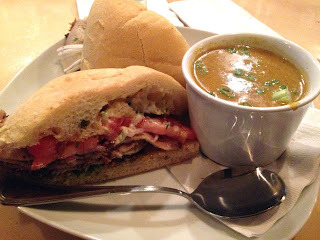 It subsequently housed Purr, which moved from Capitol Hill. 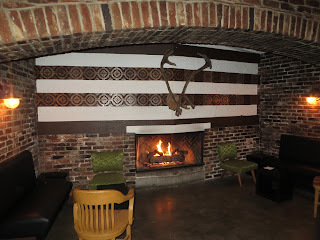 Traveler Montlake is the sort of place you want to pull into after being out in the snow or rain for a while, when you're in the mood for a meal that is well made, not too common but not too fancy, and to sit by the fire with a hot cocktail of some sort. It is very Seattle-y, from the allegiance to the Huskies and local sports teams to the sweaters and jeans crowd. Most of this was probably also the case for several previous joints in this location, from the Montlake Alehouse the decade preceding it back to the 50s when UW students would bring their prime rib sandwiches from Perry Kelly's Big-K Bar-B-Q here to Jilly's East. 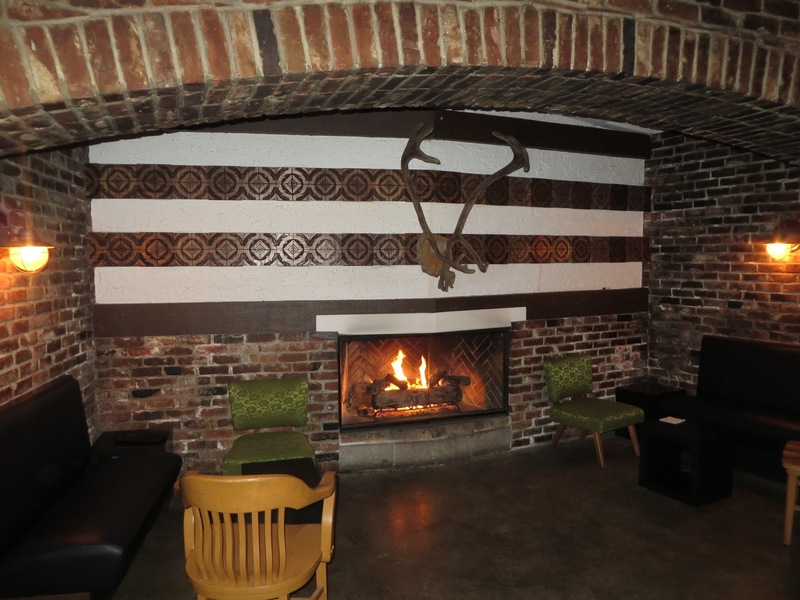 But this incarnation, from Devlin McGill of the Leary Traveler and Nabob, is more pleasant for adults -- with more creative food (though still centered around American comfort foods), better cocktails, and elimination of the family-friendly conversation-pit area for kids. I chatted with bartender Anna, who designed the bar program, and tried a 1776 Boulevardier (I liked this, though I prefer the classic, which is one of my favorites). 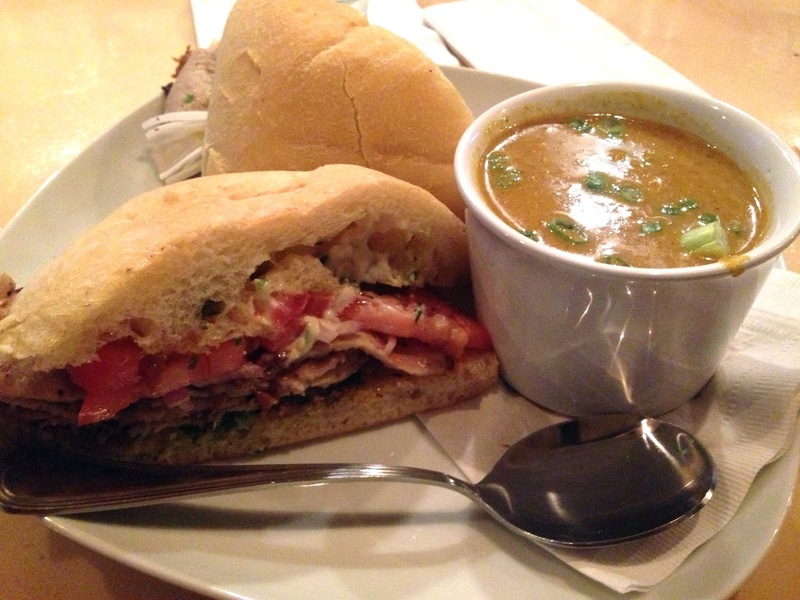 I also had a very good Argentinean Roast Pork Sandwich and curry carrot mango soup (which comes around in the rotation now and then).